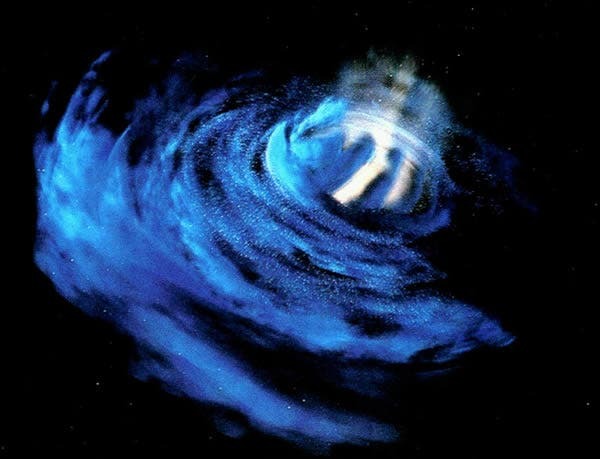 Scientists usually imagine wormholes connecting regions of empty space, but a new study led by Vladimir Dzhunushaliev at the Eurasian National University in Kazakhstan suggests that wormholes might exist between distant stars. Instead of being empty tunnels, these wormholes would contain a perfect fluid that flows back and forth between the two stars, possibly giving them a detectable signature. This new composite image from the Chandra X-ray Observatory, the Hubble Space Telescope, and the Spitzer Space Telescope shows two colliding galaxies more than a 100 million years after they first impacted each other. The continuing collision of the Antennae galaxies, located about 62 million light years from Earth, has triggered the formation of millions of stars in clouds of dusts and gas. 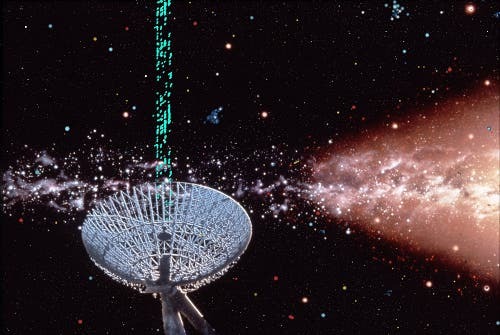 August 15, 1977: the night before Elvis Presley died, at 11:16 p.m. an Ohio radio telescope called the Big Ear recorded a single pulse of radiation that seemed to come from somewhere in the constellation of Sagittarius at the 1420 MHz hydrogen line, the vibration frequency of hydrogen, the most common molecule in the universe -exactly the signal ET-hunters had been instructed to look out for. The signal was so strong that it pushed the Big Ear's recording device off the chart. 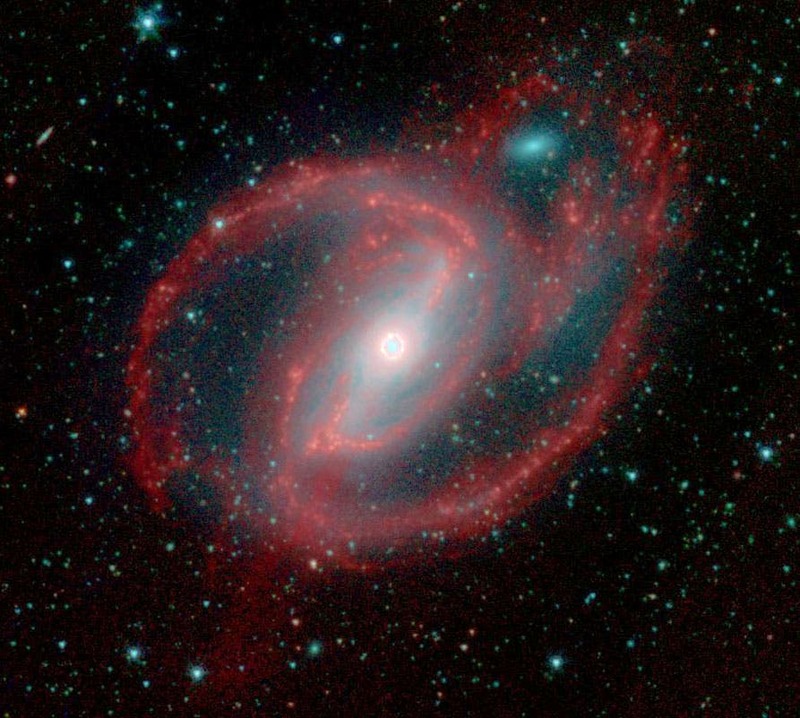 A monster black hole 100 million times the mass of the Sun is feeding off gas, dust and a ring of stars at the centre of Galaxy NGC-1097 50 million light-years away. The star-ringed black hole forms the eye of the galaxy which was photographed by the US space agency's Spitzer Space Telescope in California. EcoAlert: Mega-Drought! A Prelude to Future Climate Change? A new analysis of deep lake sediment suggests that the breakup and melting of massive icebergs in the North Atlantic may have triggered one of the most widespread and intense droughts in the past 50,000 years known as Heinrich Stadial 1. 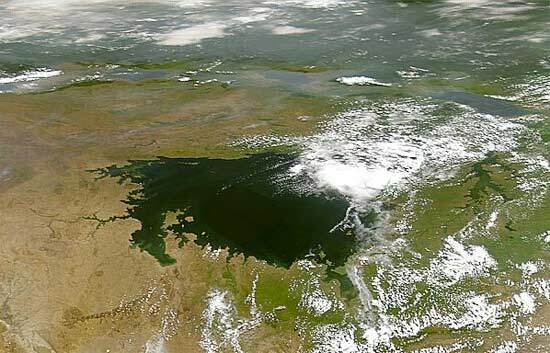 The megadrought, which struck between 15,000 to 18,000 years ago, dried up large expanses of the monsoon regions of Africa and Asia, including Lake Victoria, the world's largest tropical lake with severe consequences for Paleolithic cultures.